NBA Bans Donald Sterling For Life – What Is The Next Step For League? April 29, 2014 is a day that hopefully sports fans like myself & many of you who read this blog will never forget. Today, the NBA, a league that many people say have an “image” problem because of how the players portray themselves, people say that the tattoos can be too much, people say that the players are players in real life, cheating on girlfriends & wives & such, etc., has become a league that stands for some morals, values & basic civil rights. Today, NBA Commissioner Adam Silver effectively banned Los Angeles Clippers owner Donald Sterling for life from having any day-to-day business with the Clippers organization, which means no personnel moves or decisions, not being at the team facilities, not having contact with team personnel, basically, not having anything to do with the Clippers franchise. On top of that, Silver fined Sterling $2.5 million dollars, which will be donated to organizations that focus on diversity & broadening diversity in cities around the United States. With the ban in place, Silver also said that he would go to the highest levels to ensure that Sterling is voted out of ownership of the Clippers by the other 29 NBA owners. The league needs 75% of the vote in order to have Sterling out of ownership. But what happens now? What are the next steps for the league to move past this situation? The NBA has to figure out how to get Donald Sterling to sell the Clippers. But after today, I have great faith in Silver that the Clippers will be sold by the start of the next NBA basketball season. The league has to progress, not regress, & having the team under Sterling ownership by next season will be a significant setback for the organization & for the NBA. The NBA Has To Find New, High Profile Ownership. Now that we feel as though the team will be sold relatively soon, the NBA now has to go through potential candidates who could effectively run the team successfully. The team is in great hands right now, as they are valued to be worth over $575 million dollars according to Forbes Magazine. For many millionaire & billionaires, this is absolutely going to be a franchise that the richest of the rich will want a piece of right now. Here are some of the people who have already put their hat in the race for ownership, or are at least rumored to be in the race. 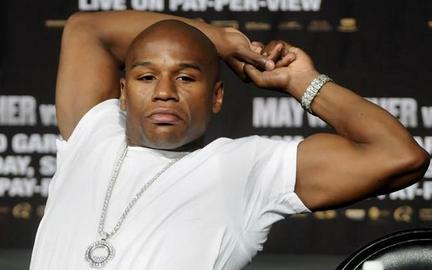 Floyd Mayweather could be in the running to purchase the Los Angeles Clippers when the team comes up for sale. Mayweather could be an interesting person to own the franchise, or at least be a majority partner in owning a team. Mayweather has been one of the highest paid athletes in sports for a long time, especially after signing his deal with CBS & Showtime sports last year. While Mayweather doesn’t have actual NBA team ownership experience, he would be a person who many players would respect because of the fact that he is a fellow athlete & his business sense is unquestioned, with his success with Mayweather Promotions, the ability to market himself well to get the initial HBO 24/7 Franchise off the ground, & how he markets himself with his fights, as he acts as his own boxing promoter, covering the costs for the opponent in the ring with him, as well as keeping the revenues & such from tickets & pay-per-view. The NBA would need to take a hard look at his track record as Mayweather has had some famous gambling bets on various sports, which would have to be curtailed, especially in terms of any potential betting on the NBA games. Sean “Diddy” Combs could be a strong person who could bring so much to the Los Angeles Clippers & the NBA as a whole because of his strength as a fashion, music & entertainment mogul. Sean Combs, known currently as “Diddy,” has shown himself to be one of the most successful entertainment personalities of this generation. With his reality shows, music, movies, strong TV commercials & his Sean John fashion line, Diddy definitely knows the business life & knows how to get things done. His personality & style would be a welcome addition to the NBA family, as well as to sports as a whole. Since Jay-Z came in & even though he had a tiny percentage of the Brooklyn Nets franchise, his face & name power was very strong in terms of bringing in various new audiences & drawing buzz around the team. Having Diddy as owner of the Los Angeles Clippers brings that sizzle to the team & even though the team has been outplaying the Los Angeles Lakers over the last 3 seasons, the team is still seen as second fiddle in Los Angeles to the Lakers. If Diddy is owning the team, that perception will change extremely quickly. 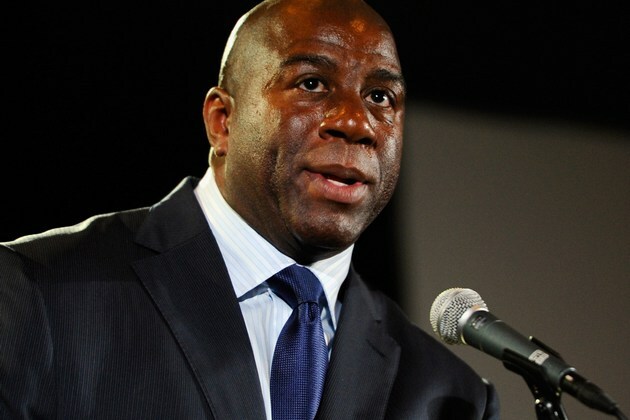 Business Mogul & former NBA player Earvin “Magic” Johnson has been one of the most vocal people since the Donald Sterling situation surfaced this past weekend. Johnson would be a strong owner for the Clippers franchise, since he knows Los Angeles just a little bit. This is probably the deal that makes the most sense from the NBA’s business standpoint. Magic Johnson is one of the most successful businessmen in this generation with his hand in Starbucks, Star Theaters & most recently the Los Angeles Dodgers. Johnson’s group, the Googenheim Group, have shown that they can turn around a franchise quickly, as the Dodgers made it to the National League Championship Series in 2013, Johnson’s first full season as part owner of the franchise. With the Clippers already ready to win & Johnson being so respected around the NBA, this would be a slam dunk pick for the league & would also fire up the team & free agents who might be looking at a new team this summer & might have crossed the Clippers off the list because of the Sterling situation – ala Carmelo Anthony. Having someone the stature of Magic Johnson as one of the owners of the team will immediately wipe away the bad taste in people’s mouths from the years of terrible ownership & mismanagement of the franchise, & create a bit of irony……….the man that Sterling was mad that his girlfriend V.Stiviano took a picture with could now own his old team. The Los Angeles Clippers were becoming a place where potential NBA free agents want to play this upcoming summer, especially after bringing in Chris Paul & Blake Griffin & seeing what they have done for the franchise in the last few years. The team will most likely make a run for a player like Carmelo Anthony, but this Donald Sterling incident may have hit a nerve with many players who would never play for a man like him with his apparent belief. NBA Superstar Carmelo Anthony can opt out of his deal with the New York Knicks after this season, & the Los Angeles Clippers could be a real possibility for a destination. By having a new owner, especially if its Magic Johnson, this will entice a big time player like Anthony to want to be a part of the new challenge of making the Clippers an NBA Championship level franchise. This way of thinking goes for almost every free agent that will be a part of this year’s group, as well as some of the current players & coaches. Head coach Doc Rivers is on record for saying that he didn’t know if he would come back & coach the Clippers if Sterling still owned the team by the beginning of next season. There are many things that must take place before the start of the 2014-15 NBA basketball season for the good of the Los Angeles Clippers & the NBA as a whole. Commissioner Adam Silver made a big push today to get racism out of the sport, but if the league truly wants to make sure this never happens again, the league really needs to look at the entire league & its owners & their personal dealings, short of spying on them. These are the men & supposed leaders of the league & this can not happen ever again. Hopefully the lesson has been learned, but now, it just shows that no one is above treating people with decency & class. Now, lets get back to the NBA Playoffs, which have been outstanding.